Last week our company was honored to be part of the second year of the exhibition and the conference Future Port Prague, which took place 6.-7.September 2018 in Holešovice’s Market Hall in our capital, Prague. 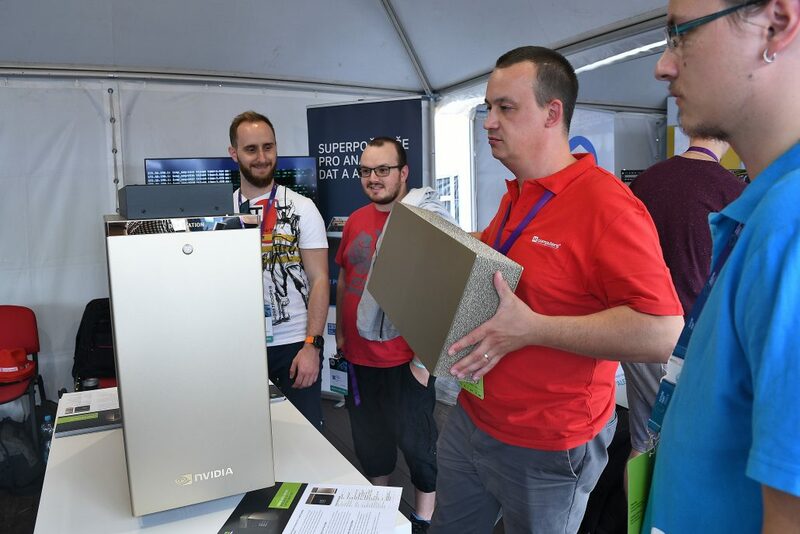 As one of the highlights of this event under the patronage of NVIDIA we introduced the first supercomputer NVIDIA DGX Station for machine learning and artificial intelligence tasks, which we have already mentioned on our site. 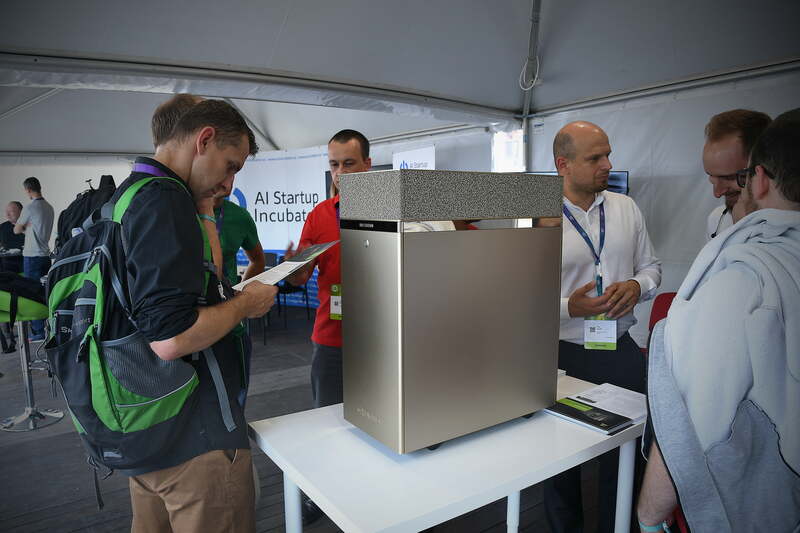 Our specialists, Jiří Ševčík and Petr Plodík, actively presented this first unique object for Slovak and Czech Republic not only to potential buyers but also to enthusiasts of artificial intelligence. 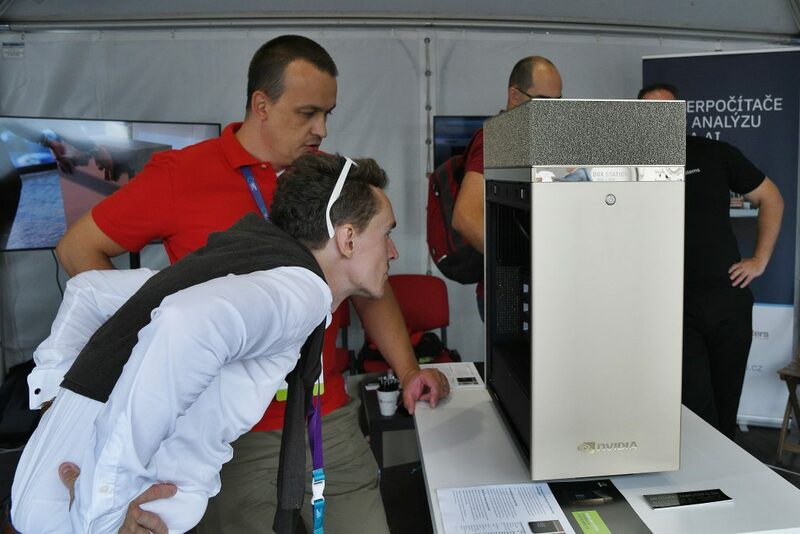 Visitors were particularly interested in water cooling system, beautiful golden design and incredibly large computing power 0.5 PetaFLOPS (500 trillion floating point operations per second). Future Port Prague itself was divided into several parts. The largest part, festival / expo, offered demonstrations of diverse technologies and lectures for the general public. In this section, you could see, for example, the Ekocapsule – a Self-sustainable smart micro-house, YuMi – collaborative robot, aka cobot, that can work alongside humans without the risk of harming them, the first 3D printed enduro bike or Orcam MyEye 2, intelligent camera glasses that help blind people read text, recognize faces or objects. There were also racing drones, including a spectator-attractive race or Tesla Model S and Model X, even Toyota Mirai hydrogen. Friday offered for IT Professionals a unique Machine Ethics Symposium (MES). His patron, Nell Watson, has managed to bring together the world’s prestigious experts in the field of machine ethics. The Symposium program included interesting lectures that presented a technical, philosophical and legal view of this issue. Future Port Prague is the largest visionary and futuristic event in the heart of Europe. The exhibition is dominated by electromobility, virtual reality, artificial intelligence, drones and other smart technologies. Part of the event is the presentation of speakers or various workshops. The NVIDIA DGX Station is the first “personal supercomputer”. This machine is mainly designed for artificial intelligence calculations and similar tasks utilizing massive computing power. DGX Station achieves computing power 0.5 PetaFLOPs, thanks to the NVIDIA Tesla V100 32GB NVIDIA Tesla V100 accelerators. These cards are cooled in the DGX Station by the internal water cooling circuit. Thanks to it also offers up to 72x higher machine learning performance than a traditional two-processor server. And that’s the weakest machine of the NVIDIA DGX family. 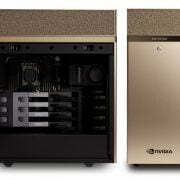 For more demanding tasks, NVIDIA offers NVIDIA DGX-1 and DGX-2 configuration in a rack-mount design. 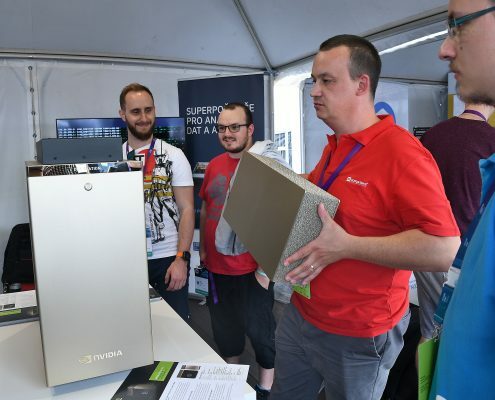 For more information about this supercomputer you can see our new website about NVIDIA DGX Systems.